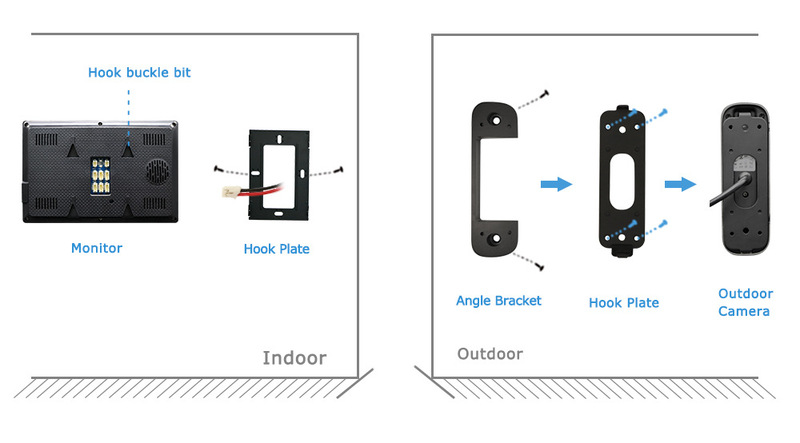 Our Product Just Works Well With Our Own Intercom System. At Present. 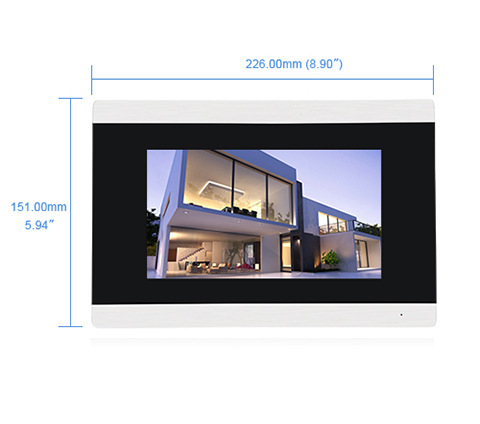 We Could Not Guarantee It Could Be Compatible With Other Brand Indoor Monitor/Outdoor Camera. 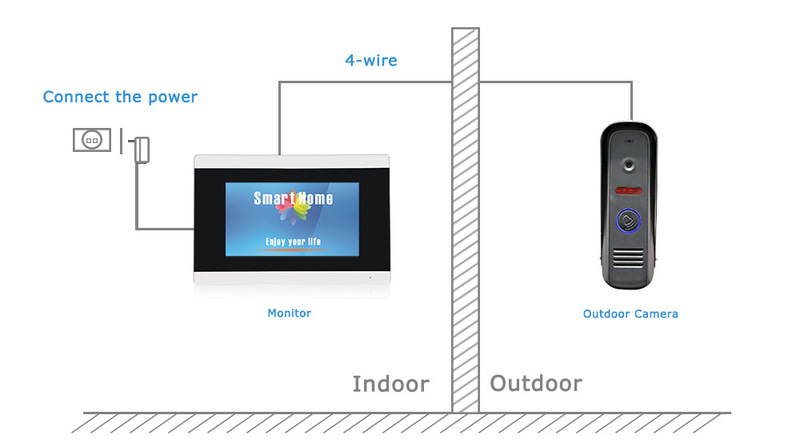 If You Need To Connect Other System ,Please Contact Us For Technical Support Before Buying. 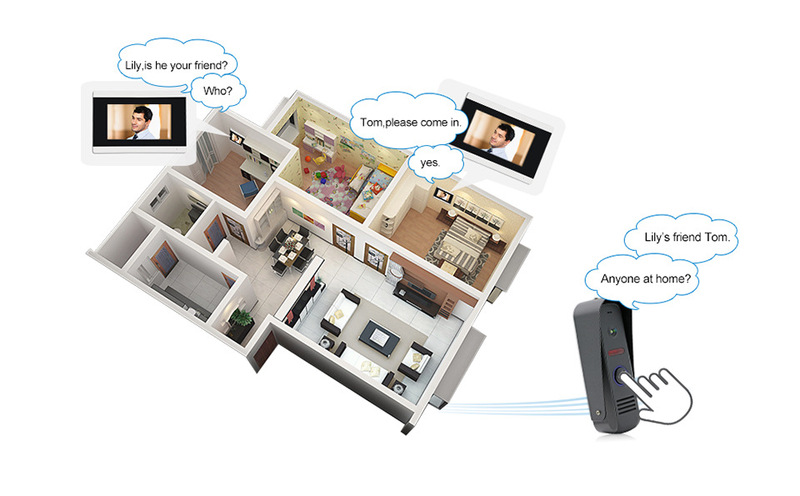 With JeaTone 7”Touch Screen Wired Video Door Phone System, Visitor Can Use Call Panel Calls, Then You Use Indoor Monitor Unlocking, Monitoring, Taking Pictures And Recording Video. 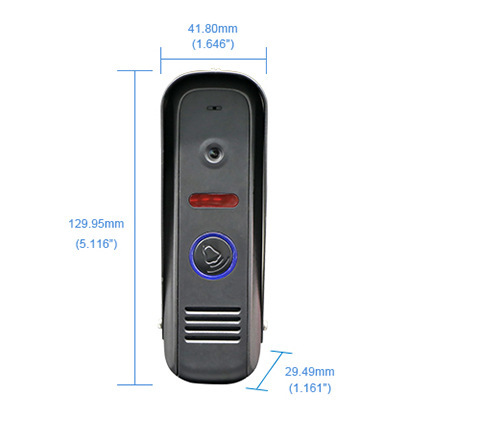 See More Area With 100 Degree Angle With The 2.8mm Lens Outdoor Camera, Protect Your House Safety. Due To The Perspective Characteristics, Wide Angle Lens Will Have Certain Deformation (Near The Center Lens Deformation Is Small, Marginal Deformation More Serious), Distance From The Camera When The Subject Is Close, Body Image Deformation Will Be Larger. 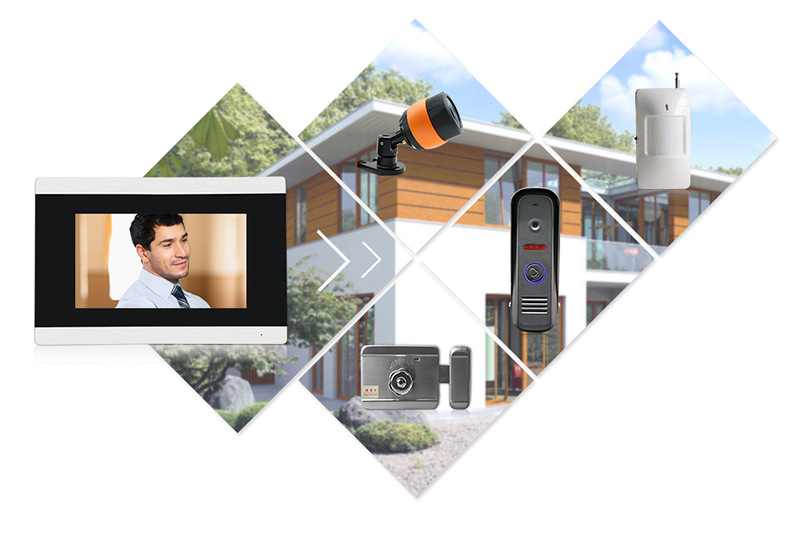 When Someone Rings The Doorbell, The Monitor Inserted With SD Card Will Record Picture or Video Automatically. If The SD Card Doesn\'t Applied, The Monitor Will Just Only Record Picture. The Built-in Memory Could Save 86 Pictures, With SD Card, You Can Set The Recording Mode To Video. When The SD Card Is Fulled, The Earliest Recorded Video Will Be Deleted Automatically.